Catholic News World : Pope Francis to Taize Youth "promote a culture of encounter" to become builders of bridges between Churches, religions and peoples. Pope Francis to Taize Youth "promote a culture of encounter" to become builders of bridges between Churches, religions and peoples. Pope Francis is challenging the young people of the Taize Community to hospitality, inviting them to open the door of their heart to the Lord and to His Word and to "promote a culture of encounter", welcoming one another, respecting their differences. 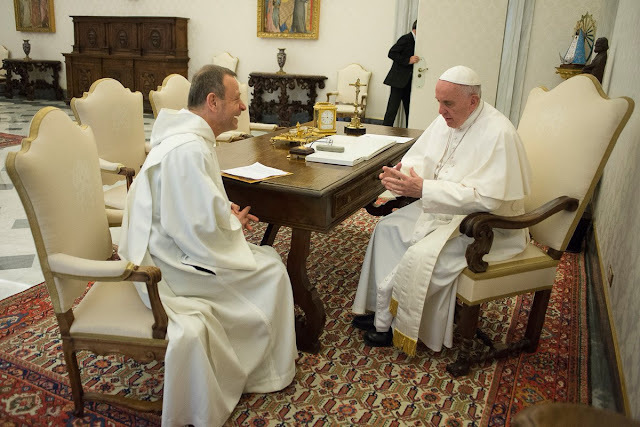 Vatican Secretary of State, Cardinal Pietro Parolin has sent a message on the Pope’s behalf to the ecumenical community that is holding its annual year-end European Youth Meeting in Madrid, Spain, December 28 to January 1. Catholics, Protestants and Orthodox Christians from some 30 countries make up the ecumenical community that was founded during World War II in 1940 in Taizé, France. Keeping this in mind, Pope Francis says that as friends of Jesus, it is possible to live hospitality generously, learning to be enriched by the differences of others and make our talents fruitful in order to become builders of bridges between Churches, religions and peoples. The Pope therefore asks the Holy Spirit to help the Catholic, Protestant and Orthodox youth to welcome the differences of others as "a journey of communion" and invites them to use their talents, energies and strength to improve the world and to ensure that each person can find his or her place within the great human family. Pointing to Mary as a model whose "love is full of audacity and all oriented towards the gift of self", the Holy Father urges the young people in Madrid to stimulate themselves to live concretely "this charity that impels us to love God above all things and ourselves and to love the people with whom we share daily life". Among several other leaders who have sent messages to the Taizé European Youth Meeting in Madrid are Ecumenical Patriarch Bartholomew of Constantinople, Secretary General of the World Council of Churches (WCC) Rev. Olav Fykse-Tveit, Secretary General of the World Lutheran Federation, Rev. Martin Junge, United Nations Secretary-General, António Guterres and the Mayor of Madrid, Manuela Carmena.